George has spent countless hours helping thousands of people affected by substance abuse & mental health issues. 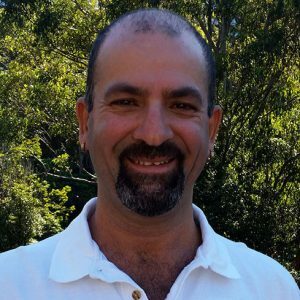 He works as a Dual Diagnosis Consultant on the Gold Coast and throughout Australia. George is committed to reaching out to people struggling with addictive behaviours, particularly those with severe life controlling problems due to significant trauma. He works in areas of court advocacy, counselling, outreach, running community forums, seminars and recovery groups for drug users (including dual diagnosis) & their loved ones. George has over 25 yrs experience and has accreditation with Victorian Department of Human Services as a Clinical Drug Assessor. Since 2002, he conducts basic & advanced training in drug & alcohol and mental health issues. He also offers clinical supervision for individuals & organisations and lectures in tertiary institutions, government and non-government organisations. Corner of Monaco St & Gold Coast Hwy Surfers Paradise QLD 4217 Gold Coast. © 2016 Anger Management | All Rights Reserved.